As “The Sportsman” I took the liberty to put a nice message together before Hurricane Irma’s arrival, asking her to go easy on our fragile sporting facilities, especially since we have been seeing lately, the performances of our athletes across sports. I gently reminding her that women here have been doing extremely well, some making a rebirth in some sports and they’d welcome anything she could bring to better the situation and raise the standard. The first sign of trouble emerged when power went before I could hit “send.” But still, I was optimistic. However, in her aftermath, I realized that Irma despised sports and decimated all public facilities, saving the privately owned Save The Seed Energy Center in Duffs Bottom, from the destruction meted out on all other facilities. Of all the facilities named after men, only Roger Allen Hodge she left standing. 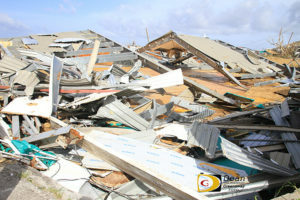 The attack on facilities began with the Jeffery Caines Arena on Virgin Gorda, where basketball and Volleyball is played. Irma ripped holes in the roof. Then she began working on Tortola, turning up part of the new football turf in the East End -Long Look community, that was laid in late August. Irma took the goal posts, cutting one to the ground. She then went on the Greenland Recreation Grounds, blew away the stands and the concession area used for Cricket and Football and also the Basketball/Volleyball court. Irma ripped off a segment of the Multipurpose Sports Complex roof and dropped about three inches of water on the court, leaving a porting of the parquet floor under the western basket, warped. She seemed to be quite upset with the A. O. Shirley Grounds. She blew down all but two banks of the light poles. 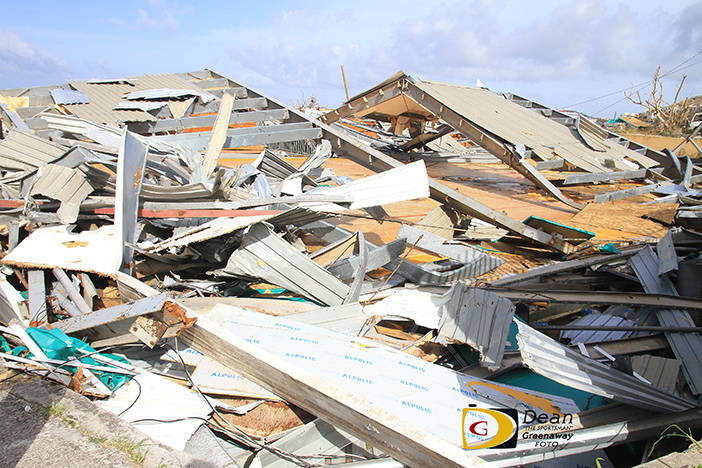 Uprooted stands and blew segments on the Festival Village Grounds, ripped off the Pavilion’s roof before decimating 400 feet of the perimeter wall. Irma wiped out the bathrooms, gym and medical room. Irma knocked out the fall sporting calendar. The annual College Classic Series that began on Oct 19, 1996, never got off the ground and will for the first time not have a season. Plans for the School’s Football League, the Wendol “Poto” Williams Knockout Cup and the BVI Football Association 2017 League, have been scuttled. Road racing including the Ceres Juices 10K Series which was in progress, has stopped in its track as well as plans for the BVI Half Marathon.